We knew Vancouver housing prices were insane. But this is just ridiculous! An optimistic Craigslist user has listed a gingerbread home on the city’s west side for $4.5 million on the classifieds site. It’s a one-bedroom home that’s a single sq. ft. in size. The baking sheet upon which it stands is not included in the sale, and the “investors’ dream” will be demolished on Jan. 1. The seller demands “serious buyers only.”The posting is a strong, but funny comment on the housing affordability in Vancouver, where the benchmark price for a detached home in the region stands at $1.2 million, up 22.6 per cent from a year ago. 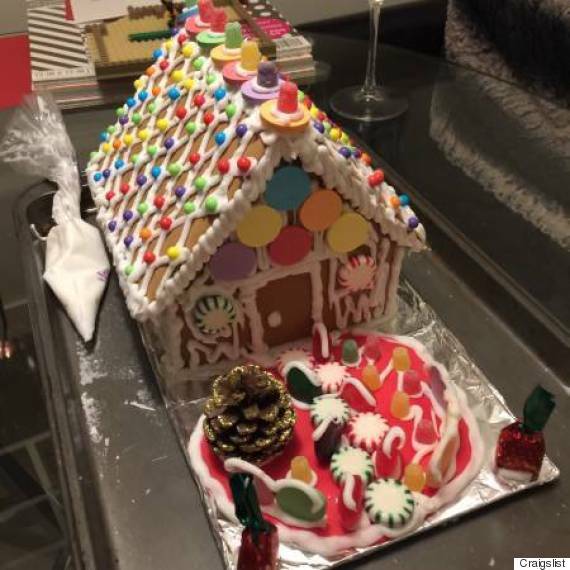 The gingerbread house is reminiscent of a project that raised awareness of just how tough it is to buy a home in the city. Earlier this year, Vancouver artist Ken Lum’s “Vancouver Special” saw him build a small home sculpture in the Downtown Eastside, representing how much you could have for $45,000 in today’s economy, The Vancouver Sun reported.Have you seen Ken Lum’s new installation at 271 Union St?